OilDoc from 29th – 31st January 2019 is already shaping up to be one of the biggest events in the tribology industry’s calendar, and at PCS Instruments we are delighted to confirm that we will be both exhibiting and presenting at the conference. We can’t wait to see you all there! Don’t forget that it is taking place at Kultur- und Kongresszentrum Rosenheim in Bavaria, Germany. We design and manufacture equipment for the testing of fuels and lubricants, and we will be coming to this prestigious event with the latest instrument in our tribology testing range; our Extreme pressure Traction Machine (ETM). The ETM is the result of new research and development by our expert team of engineers, and it allows a variety of different types of tribological investigations to take place. It allows researchers to measure the formation and potential removal of anti-wear tribo-films under high contact pressures and low slide to roll ratios in steel on steel contacts. This helps in the study of mechanochemistry – which looks at how extreme shear stresses influence lubricant and material chemistries. The ETM will be on show at our exhibition booth and in addition, Dr Rich Baker is giving a presentation on results from the new instrument entitled ‘Tribofilm forming and film failure behaviour of ZDDP and ashless antiwear additives’ on Wednesday January 30th at 11.00 am. Visit our booth and speak to the PCS staff to see what else PCS Instruments can offer you at the moment. 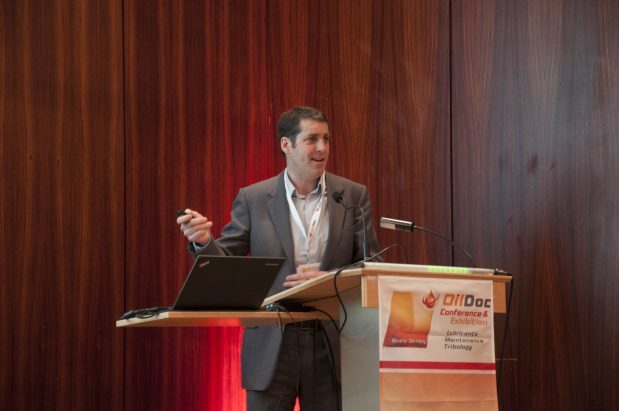 The OilDoc event is dedicated to bringing together lubricant, maintenance and condition monitoring businesses from all over Europe. It is well worth registering as soon as possible so that you can plan your visit and take a look at the excellent presentations and networking events that are available throughout the 3 days of the conference. How do we breakdown the stereotypes and increase the attractiveness of STEM?